I’m so behind on my travel posts, so here I am playing catch-up! 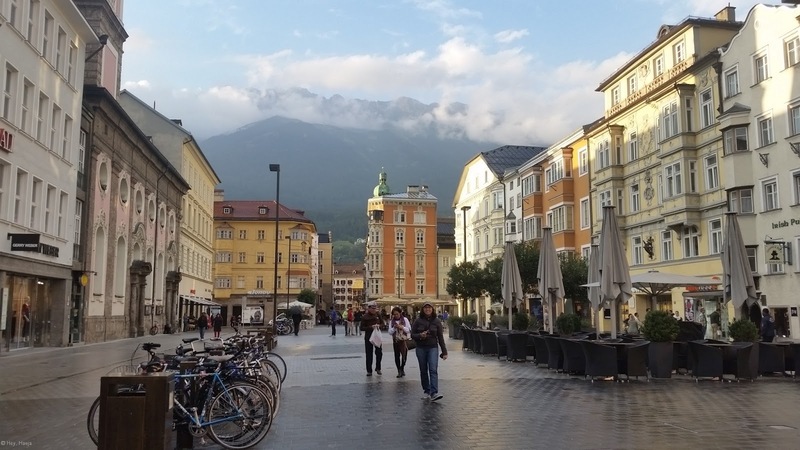 Coming from Venice, we went straight to Innsbruck, Austria, using our Eurail train pass. 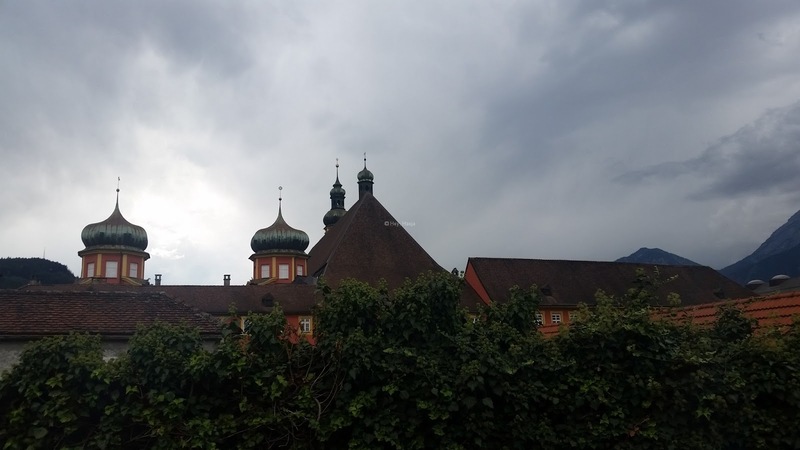 It was quite a long train ride since we only used the regional trains, but we had so much fun seeing the influence of different cultures as we moved through Italy, closer to Austria. Innsbruck is the kind of place where gingerbread houses wouldn’t seem out of place. It was just so utterly charming. We were only there for an overnight trip, and I think I should go back and stay for at least two days. The buildings are less ornate than the ones from Italy, but no less artistic. It was definitely chillier up here than when we were in Italy, and we were all freezing to our bones. We visited Europe around the end of summer, just before autumn, but to our bodies used to the tropics, we felt like it was winter. So if you’re going to Europe around end of summer and you’re not used to the cold, wear thick jackets and leggings. We took a bus ride to our hotel, and I think it was one of the more expensive bus tickets we have bought throughout our Euro trip since it was about 3 euros for one ride only. 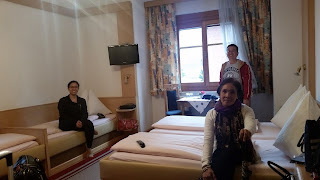 The hotel manager said it was cheaper to get a taxi from the train station to their hotel since there were four of us. Unfortunately, because of what we experienced in Rome, we decided to buy our tickets beforehand. 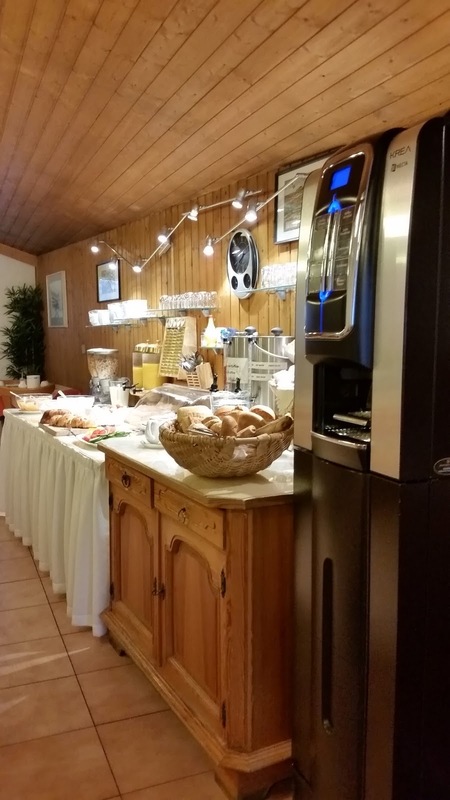 We stayed in the quaint Hotel Tautermann, which cost 130 euros for one night for four persons. It included a buffet breakfast; the food was so fresh and felt like a real European experience. 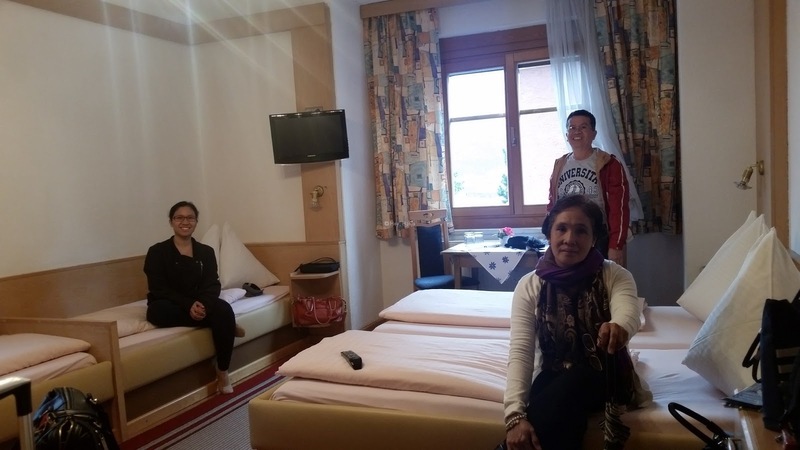 We were the only Filipinos in the hotel, and during breakfast, it was so exciting to be surrounded by hotel guests from different continents. They have WiFi but only a limited number of devices are allowed to connect at any given time, so we took turns going online at night. The place was very clean and comfortable. I am in love with those quilts because they were so warm. If we didn’t have blaring alarms and an early train to Munich, we all would have been content to sleep longer. 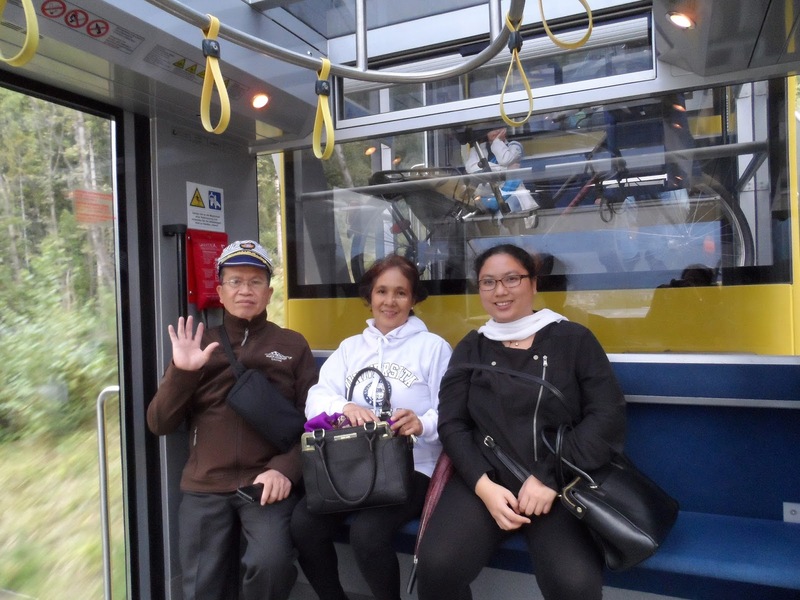 After a quick change into warmer clothing, we were off to our number one itinerary in Innsbruck: Hungerburg Funicular! One thing I’ve learned about Europeans is that when they say it’s a five minutes’ walk, it usually took us ten minutes longer to get there. But since the bus was expensive, and the manager said the Funicular was nearby, we decided to walk. Thank you, HERE Maps, for being so functional and useful, even offline. We walked along the river, which made me feel like my blood was turning into ice. When we finally got to the Funicular, I handed our money to the teller to buy tickets to the topmost exit. She gave the money back and bluntly said, “no”. I blinked and stared then tried again. She returned my money again and said the Funicular was closed! We arrived at the exact closing time. Such a bummer. 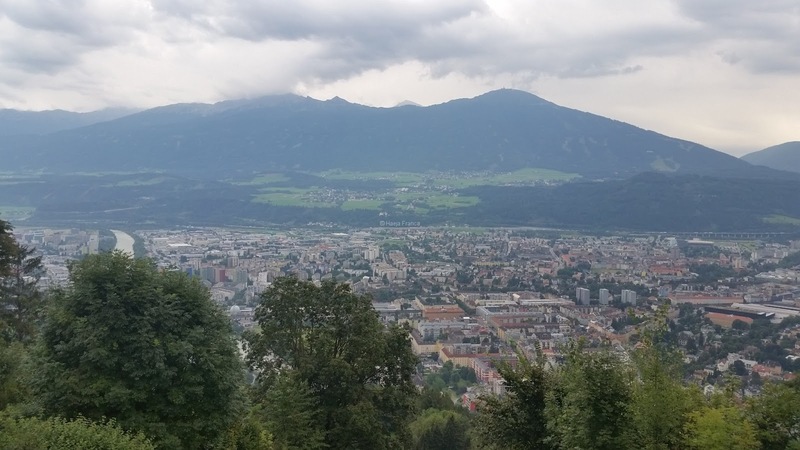 We were only allowed to go up to the Nordkette, which still provided a view of Innsbruck, but we really wanted to get to the topmost and experience the Austrian alps. It was quite an experience riding the cable car by ourselves, with our backs to the mountains, and have Innsbruck slowly revealed to us as we went higher and higher. From above, Innsbruck looked just like any other metropolis, albeit surrounded by green mountains and so chilly. We wanted to explore the village but it started raining, and it was getting dark, so we went back to the town proper and after just walking around aimlessly, we found ourselves at the Old Town. Sometimes, when I look back to our Euro trip, I really marvel at how we were able to get to places by ourselves. We just walked around trying to find the plaza we saw on our way to the hotel. We walked along alleys, saw a few trinkets we were so tempted to buy, but I soldiered on, taking pictures here and there. Then we reached the Goldenes Dachl (Golden Roof)! It was built in 1500 and is considered Innsbruck’s most famous symbol. 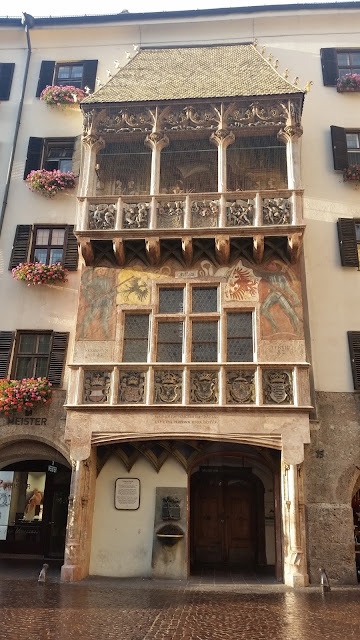 According to Innsbruck.info, the roof was decorated with over 2,000 fire-gilded copper tiles to mark Emperor Maximilian I’s wedding to Bianca Maria Sforza. This is located in the Old Town, where there are numerous buildings still decorated in the old European architecture. One thing I noticed about Innsbruck is that they usually have flowers hanging on their window sills. It makes the building so much prettier and just adds to the charm of the place. I’m telling you, if you have the chance to pass through Innsbruck, take it. 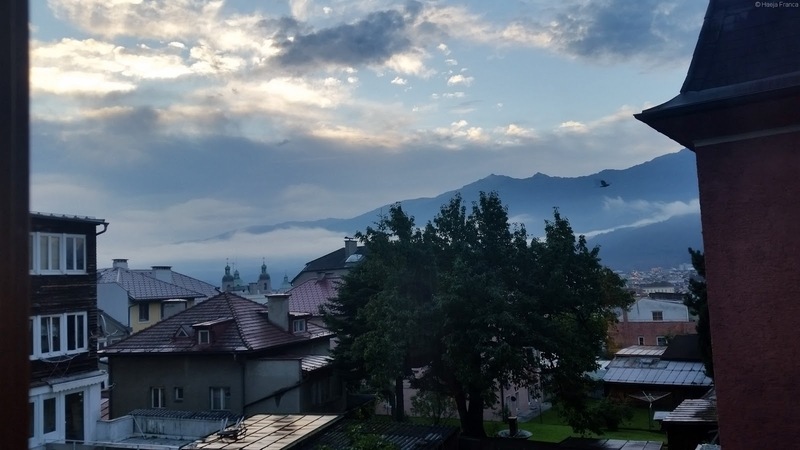 The sunrise in Innsbruck took my breath away. I love to sleep beside the window because I love looking out to the sky, and despite the cold, that night was no exception. And I was rewarded with such a beautiful view. 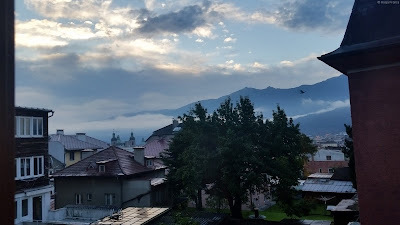 Rolling clouds over hills and rooftops, while we were surrounded by mountains. It felt like a dream, so I had to take a lot of pictures. I just had to, because I might start to think that I just imagined the beautiful scene I witnessed! After breakfast, we headed off to Innsbruck’s Hbf, and off we went to Munich, Germany.